It’s just not a party without cake! Some celebrations need a show-stopping cake to go with them so I am thrilled to be able to offer a Bespoke Celebration Cake Service for Birthdays, Anniversaries, Heydays and Holidays. 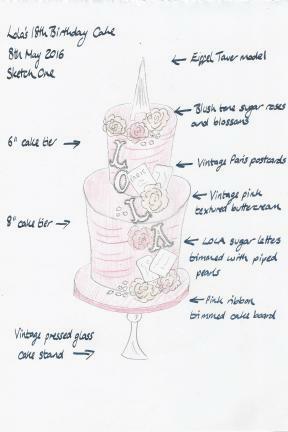 Get in touch today to tell me all about the party you are planning and I will design the perfect cake to suit it. Once we have spoken and I have some idea of the Celebration that you are planning for I will be able to start sketching. Whatever the Birthday boy or girl is into, from Louboutin Heels to Hamburgers I can create it in cake! After our discussion, I will sketch an idea for your cake and send this over to you along with a quote. This is a consultative process so this is your opportunity to let me know if you would like to make any changes to the design. I am committed to getting the design right. Once you are happy with the design, a deposit of 50% will be required to secure your booking with the balance due 4 weeks in advance of delivery. You can check out my previous cakes on Pinterest, on Instagram or Facebook but your cake will be designed just for you. I am serious about baking. Let’s not forget that this is the most important thing – your cake has to taste good! You can choose any flavour that you like and rest assured in the knowledge that they will be made from the freshest, organic, and cruelty-free ingredients. Salted Caramel, Peanut Butter, Banana, and I make a boozy Fruitcake too! Any special dietary requirements can be catered for from Gluten Free to Vegan, with Eggless, Nut Free, and Dairy Free cakes no problem either. Just let me know at the outset. With a simple single-tiered Celebration Cake, you are very welcome to arrange collection from my kitchen in beautiful Bedford. 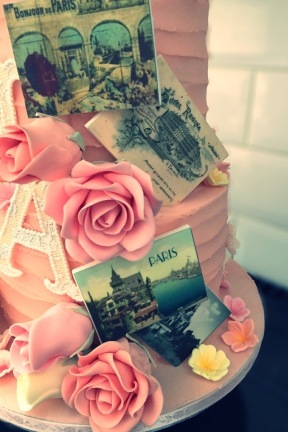 If your Celebration Cake is a little more elaborate, you may prefer to have it delivered to your venue. I will liaise with your contact to ensure that the cake is where it needs to be when it needs to be there. Cakes are either delivered by me personally or a trusted member of my team to ensure that your cake is assembled as we designed it. This one is hard to answer as each cake is priced according to the time that is required to make it. 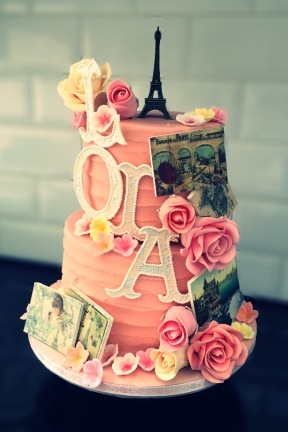 If you opt for many tiers or a very detailed Novelty Cake, this is going to cost more than a simple design. Please remember that you are employing a human to make your cake and this will cost more than a cake that is baked on an industrial scale. Your cake will taste all the better for this! I am based in beautiful Bedford and regularly deliver all over the country. I try to keep delivery costs as low as possible and can quote accurately for this as soon as I have your venue location. I am very happy for simple and sturdy designs to be collected from me at no cost.